Tupperware Busy Blocks had 26 hinged A to Z alphabet blocks each made in yellow, red or blue. The blocks have a capital and a small letter on one side, a picture that represents the letter on another side, 2 sides with “puzzle patterns” and 2 sides with diagnal stripes. 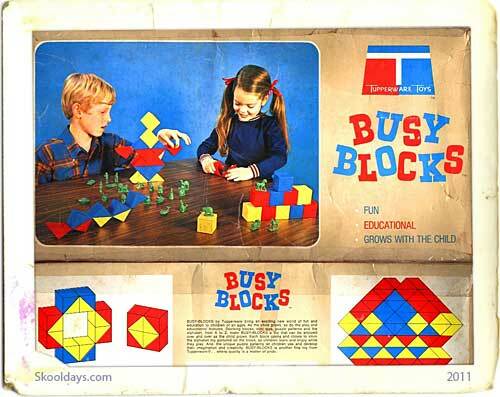 “Tupperware Busy Blocks were for educational fun” according to the marketing package. They were supposedly to help kids learn the alphabet and at the same time learn building and construction techniques. All I know id if someone through one at you, it took a chunk out your head, they were really hard! There were also 26 green plastic figures which correspond to the pictures on the blocks and representing each letter of the alphabet (Airport, Boat, Camel, Dog, Elephant, Fox, Giraffe, Horse, Indian, Jeep, Kangaroo, Lion, Monkey, Nurse, Owl, Pig, Queen, Rabbit, Seal, Train, Unicorn, Violin, Whale, Xylophone, Yacht, and Zebra). According to the back of the box: BUSY-BLOCKS by Tupperware bring an exciting new world of fun and education to children of all ages. As the child grows, so do the play and educational features. Stacking blocks, mini toys, puzzle patterns and the alphabet, from A to Z, make BUSY-BLOCKS a toy that can be enjoyed over and over as the child grows. Each block opens and closes to store the alphabet toy pictured on the block, so children learn and enjoy while they play. And, the unique puzzle patterns let children use and develop their imagination and creativity. BUSY-BLOCKS is another fine toy from Tupperware… where quality is a matter of pride. Anyone else remember these, I only recall them as my younger sisters loved them, if only they could learn not to throw them on an unsuspecting brothers head! 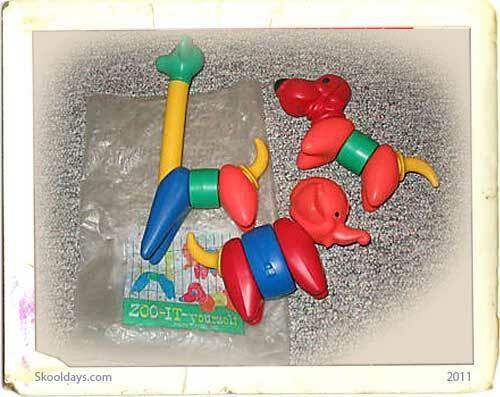 my little sister had some of these, playing with them daily for years, now my son is playing with the same ones! Oh, gosh I remember these! What I wouldn't give to find a set for my little girl! I have still got a set of these from when I was little, my boys play with them now. 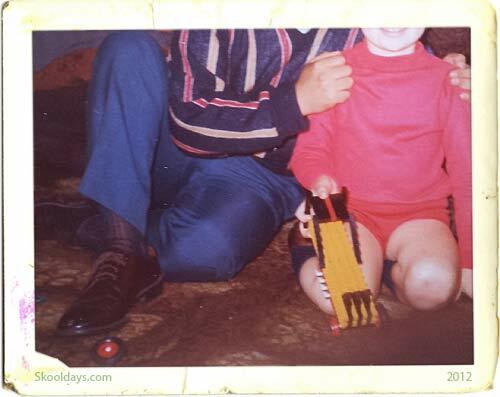 I got a set of these in 1969 – still have all the pieces in great shape. I also just found them on a museum site!! Looking for the lion figurine, and the blocks for A, P, T, and U. I want to make my set a full set. It is my set from when I was little. I used to play in the tub with them! does anyone have a A block and figure. Can anyone else help Fred with an A block? Thank you, I was able to find the a block, and was able to finish my set. does anyone have a indian or nurse figure i need them to finish a set for my grandaughter. Do u still need busy blocks set…with figurines? I’m looking for a set. If it’s still available, how much are they?